Receive the personalised, innovative and digital service you want for your holidays. A simple and modern booking service. Direct contact through social media with updated information on your holiday destination. Online check-in app available 24 hours prior to your arrival, saving you time checking in and allowing you to start enjoying your holidays straight away. Purchase of extras and activities in Fuerteventura at exclusive prices from home. Plan your holidays and make the most of every second on the island. Request for local guides and individualised experiences. 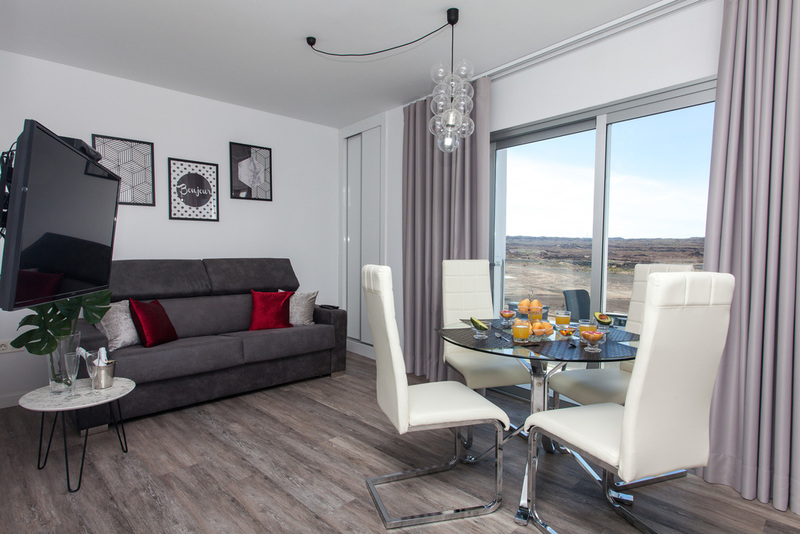 All of this in a personalised manner and with no waiting time through your email or the app of Bristol Sunset Beach Apartments straight after completing your booking. “Price is what you pay. Value is what you get” - Warren Buffett. Located in the Canary Islands, in the town of Corralejo in Fuerteventura, a paradise of sun and beaches, Endorfina Club offers a different way of travelling and doing sport, discovering the island, its flavours, landscapes, beaches, people and nature and finding the perfect balance between body and mind. Daily yoga classes in Corralejo. 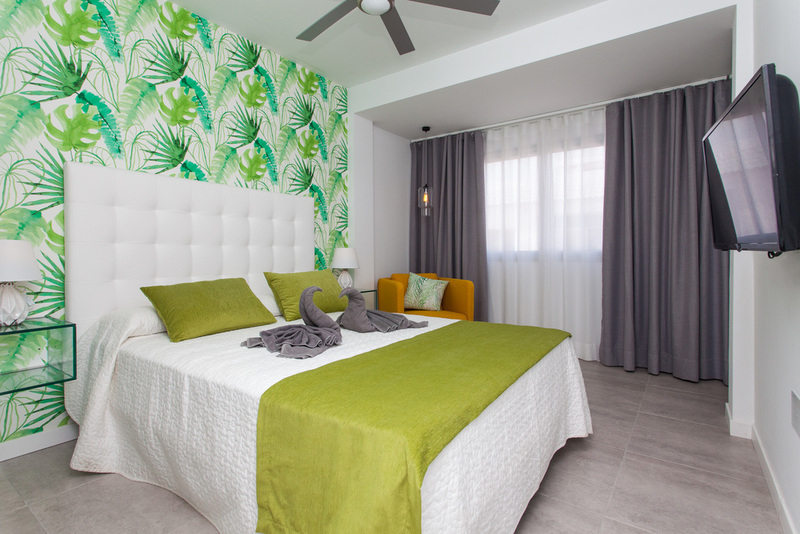 The innovative concept of the Bristol Sunset Beach apartments offers the perfect balance between privacy, freedom and comfort so you can fully enjoy Fuerteventura in your own way and in total comfort. 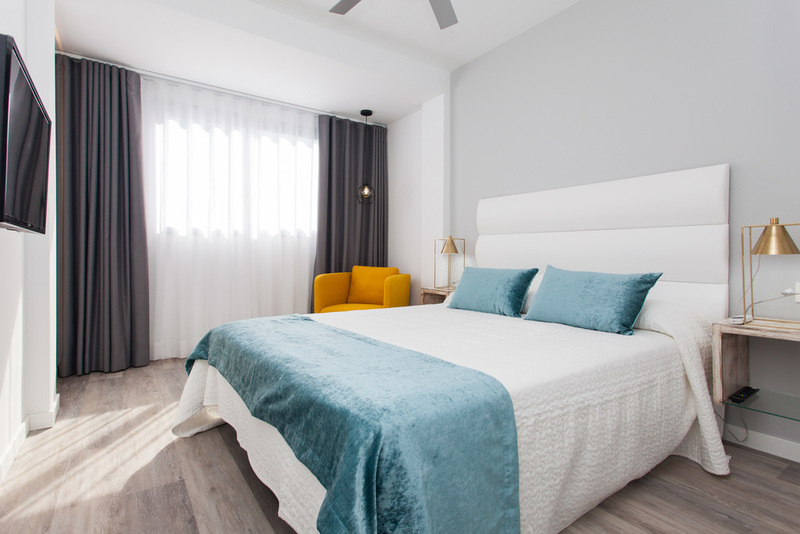 Boutique-style holiday apartments in Fuerteventura with an exclusive design and innovative equipment for a relaxing, intimate and unforgettable stay in Fuerteventura. Comfortable sunloungers, rattan chairs, Buddha sculptures, ocean views and many plants which add the final touch to this silent happiness. You can find the fresh and healthy flavour of the Canary Islands in each of our delicious fresh fruit smoothies, cocktails, coffee, tapas and burgers as well as in our regular barbecues and themed events, all of which in an idyllic green setting with colourful designs, intimate Balinese beds and soft textures with views of the ocean in Corralejo. The perfect combination to relax and watch the stunning sunsets in Fuerteventura. Barely a few yards from the entrance of the Bristol Sunset Beach apartments, next to the swimming pool, you can find freshwater showers for you and spacious lockers for your equipment. 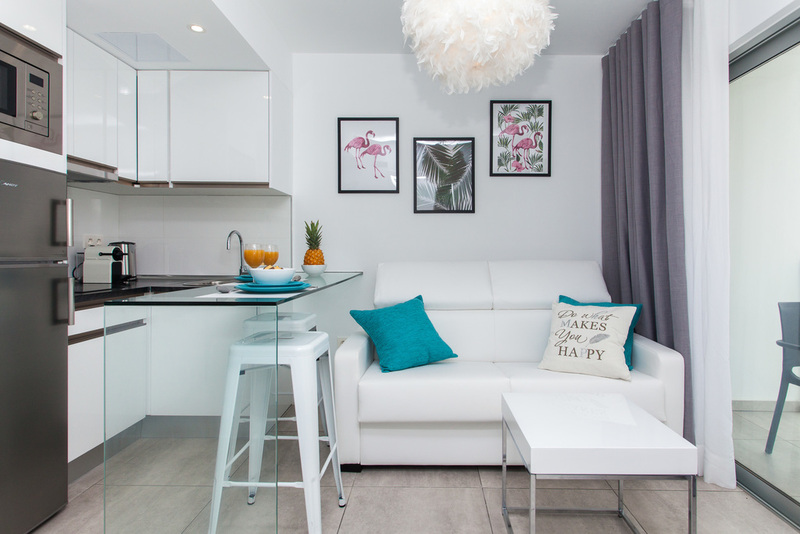 Are you looking for a different kind of accommodation?